Coming soon!...Our Spring Work Day. 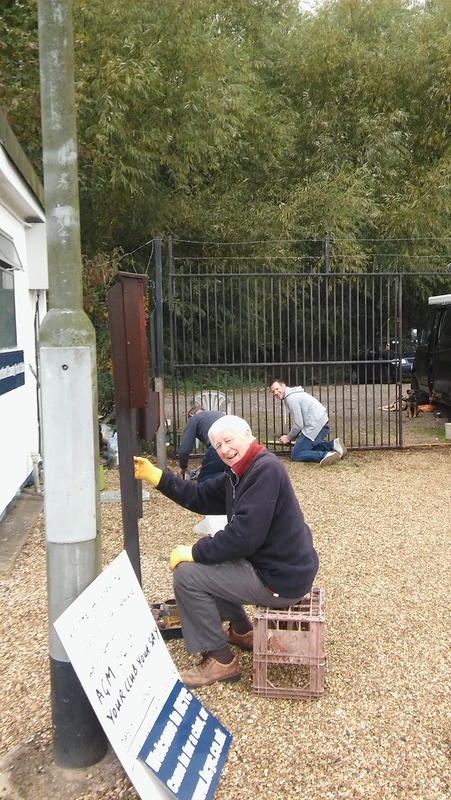 There is a lot of work behind the scenes to keep the club running smoothly and our Work Day is a good opportunity to get involved, meet other club members and help maintain the club, especially as we have our Open Day in May and want to create the best impression we can for our visitors. Light refreshments will be provided free of charge and there are jobs to suit all skills and abilities. We have a good range of tools available, but feel free to bring your own, (marked with your name) and if you have any special technical skills which would be useful, please contact our Bosun, Steve. It is important that members give their time to help maintain our club. We have several ideas in the pipeline to improve our site and need the man/woman power to make it happen.